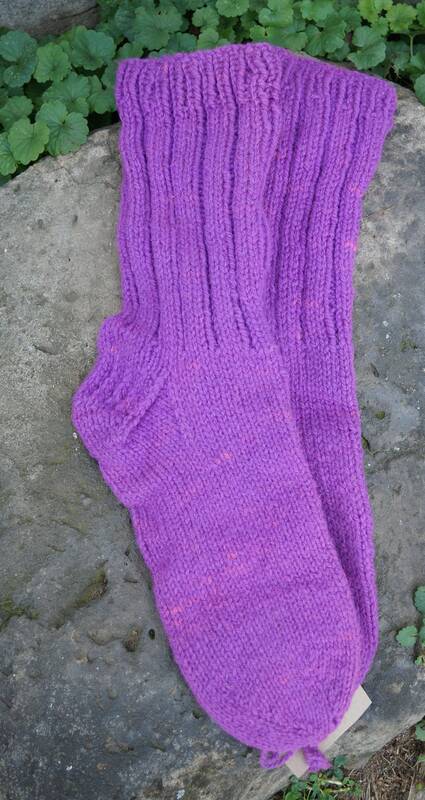 Hand knit socks "Lily" kettle dyed yarn from our farm. 100% wool. Medium weight boot sock using worsted weight yarn. Size ladies large. Sock measures 11 inches from heel to toe unstreached. Foot is 10 inches around and also 10 inches from bottom of heel to top of ribbed cuff.